Thirteen year old Rhys Yeomans started with Stage Coach at the age of 9 and then went on to train at Center Pointe, (both in England). There he learned all aspects of jazz, tap, modern and contemporary dance, but, in particular focused, on ballet and he soon started to win many local dance competitions. Rhys Yeomans – England’s Electrifying Excellent Entertainer! 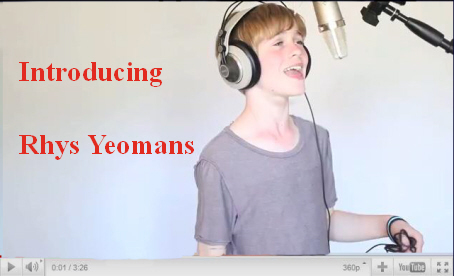 Today, I am overjoyed to bring you one of England’s most talented young stage performers and future singing sensation Rhys Yeomans! Thirteen year old Rhys Yeomans started with Stage Coach at the age of 9 and then went on to train at Center Pointe, (both in England). There he learned all aspects of jazz, tap, modern and contemporary dance, but, in particular, focused on ballet and he soon started to win many local dance competitions. In September 2009, after two years of training, Rhys was offered the part of “Billy” in Billy Elliot the Musical in September 2009 and then moved to London from Manchester to rehearse for the show. Rhys played the part of “Billy” at the Victoria Palace in London’s West End until April 2011 and loved every minute of it. He logged in over 100 performances. Rhys danced the Finale at the London production’s 5th birthday and was voted the best Billy to perform on 29th March 2010. Immediately following his run with Billy Elliot, Rhys began recording tracks with multi-Grammy award winning British record producer Kipper. Kipper is best known for producing iconic recording artist Sting. 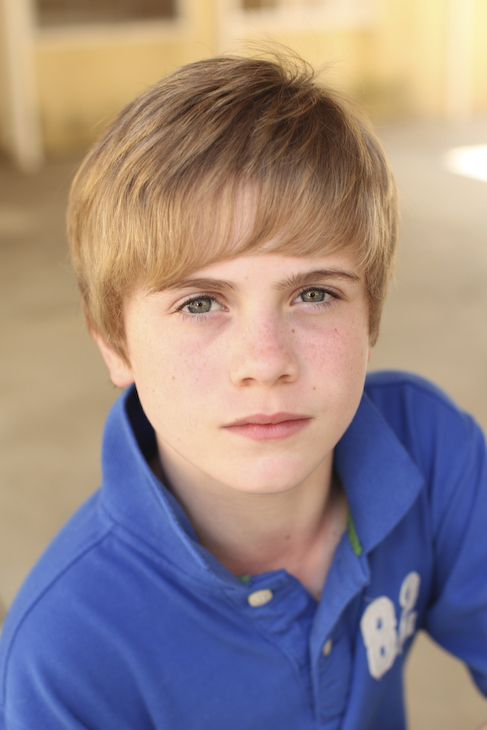 Rhys now has theatrical representation in both the UK and the United States. He plans to continue with his acting, hoping to start working in film and television. 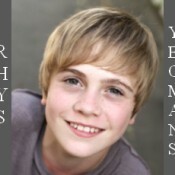 Not only is Rhys an outstanding stage performer, but also a delightful young man with personality personified! I asked Rhys to introduce himself to all of you through this video and the written interview that follows. I know that you will be charmed by this special exclusive introduction, and encourage you to find out more about him by visiting his YouTube Site. To Finish Reading this Article and leave Rhys a comment Click Below!